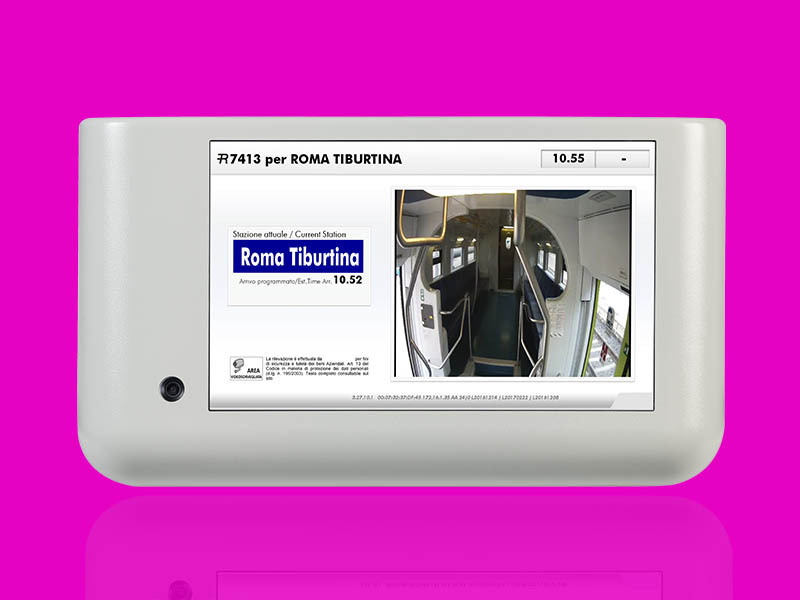 DOVE6 is an on-board TFT LCD monitor displaying information related to train journey, entertainment contents and commercial advertisements. Passengers enjoy position-based or situation-based information, i.e. current position of the train on the line timetable and on the map, connections departing from the next station, emergency messages, news and weather forecast. Commercial and multimedia contents can be shown upon customer request. In fact, the UI is fully customizable and contents are managed by a central system which controls, monitors and diagnose every single DOVE6 installed on the train. DOVE6 functions are fully compliant with TSI PRM normative. CPU technology with hardware decoding for multimedia content playback. Advanced and additional user-friendly features like touch-screen allow DOVE6 to be dedicated to passengers as well as train staff. 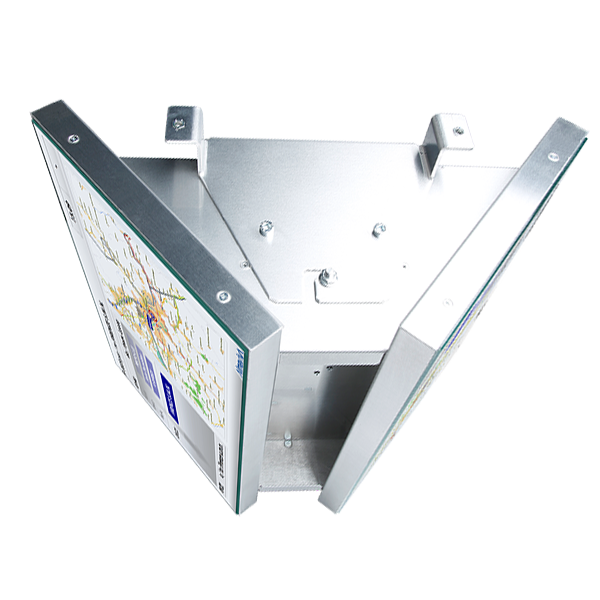 The monitor can be customized upon customer request for ceiling or wall mounting and with plastic or metallic enclosure. DOVE6 is available also in single-head or dual-head configuration. It is possible to implement a similar user experience on existing on-board LCD monitors by combining MEDIA3N Server function, using a media streaming architecture.